In a published letter, the retired Pope condemns the sexual revolution of the 1960's as having led to homosexuality in seminaries and thus to child abuse. When Pope Benedict XVI retired in 2013, he promised to live the remainder of his days in seclusion and serve the Church through “a life dedicated to prayer.” In a rare public statement, however, he has published a letter written to bishops and cardinals this February. In the letter, published in German Catholic magazine Klerusblatt, he blames the sexual revolution of the 1960’s, “homosexual cliques” within seminaries and a general collapse in moral standards for the international scandal of child sexual abuse by Catholic priests. 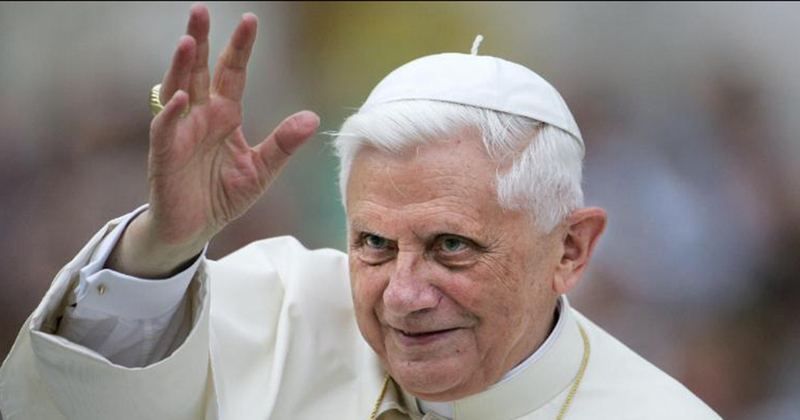 Before becoming Pope, Benedict worked at the Vatican as Cardinal Joseph Aloisius Ratzinger. As one of Pope John Paul II’s closest confidants, he was charged with managing revelations of clerical sexual abuse as they emerged. He has been accused of personally making decisions to leave priests who raped young boys unpunished, merely sending them away to new dioceses where they continued to find victims. Next, the letter describes how this loss of morality created “homosexual cliques” within seminaries. Pope Benedict concludes the letter by thanking Pope Francis for his continued work to show “the light of God.” However, his views as expressed in this letter contrast with those of the current Pope – who has said that abuse often stems from the corrupted power of clergy, and from systemic problems within the Church that encourage coverups.